Question: They say that happiness is in forgiveness. 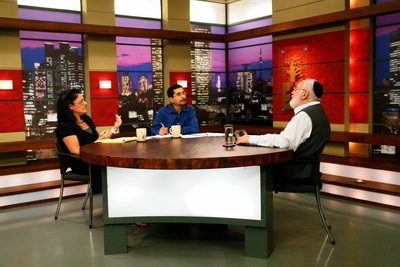 What is forgiveness in Kabbalah? Do we need to forgive and if so, in what situations? Answer: There is no forgiveness in Kabbalah. If you understand that something bad has happened but you forgive everything, then you postpone the resolution of the conflict, covering it up as if it does not exist. Thus, you make our state even more critical. Therefore, forgiveness fails to resolve conflict. Next time it will “jump out” with even more force. Conflict is resolved only in the middle line. Question from Facebook: I have heard a lot of different advice on how to become successful. What is your advice as a Kabbalist on how to become successful? Answer: First, imagine that you are successful and you do not need to become anyone. Second, success is either short-lived or perfect and eternal, and then it is success in connection with the Creator, in the ascent above our world. If you wish this kind of success, the method of Kabbalah is at your service. On the way to its realization, you will understand that the very movement forward is considered success. Question: What does it mean that Kabbalah is revealed in the world if the main Kabbalistic book, Moses’ Pentateuch has been published in billions of copies? Answer: And how is the Torah (The Bible) revealed? Its essence remains concealed. This book was written 3,000 years ago. Its appearance is an extraordinary event. How it is written, its language, is wondrous! However, the fact is that no one understands the true essence of the Torah, and this true essence must be revealed. After the Torah, there are Prophets (Neviim) and Scriptures (Ktuvim). These are all great books, but they are written in a language that needs to be deciphered.